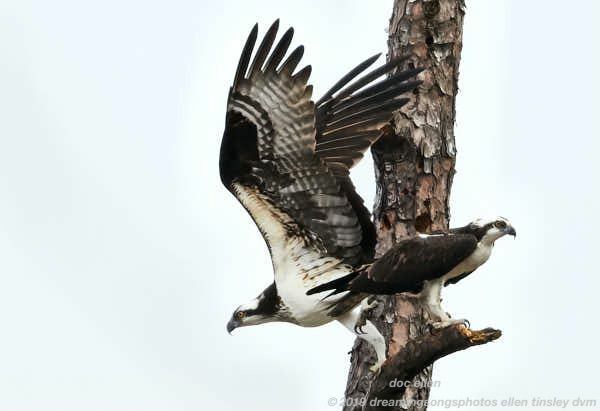 Posted in birds, Jordan Lake, Jordan Lake State Park, ospreys of Jordan Lake, photography, raptors, wild birds and tagged as female osprey, Jordan Lake, Jordan Lake State Park, male osprey, osprey flight, ospreys of Jordan Lake, raptor, wild bird. Most of what we’ve tried to do has proved futile, if not impossible. We took on a giant public utility and lost to the tune of seven million tons of coal ash. It could have been more. They promised us twelve million. Oh, how they lied. How falsely they attempted to reassure. “There’s arsenic in apple juice,” they said. But we didn’t want it in our air, in our water, in the air we breathed, the water we drank. Now they want to burn the coal ash again. “To make it clean,” they said. It still poisons us. We sicken and die. Already we lose our justice fighters. Two lost: Terica and John Cross. One more still fighting, still alive after the twenty-third chemo treatment: Johnsie. What does it take for you to see the people, the little children, the unborn babies? Why don’t you wish us to live and flourish? Your hatred is palpable. In the name of Terica and John, and Johnsie, we fight on. Stop your poison now. Change your tune. You, too, are only human. You, too, can sicken and die. Interesting. Are there any particular theories about the size difference between males & females?